VRP-MENA has been established in 2015 after the advent of the disastrous Tropical Cyclone PAM which have affected the Republic of Vanuatu to help the Government of Vanuatu with recovery efforts. 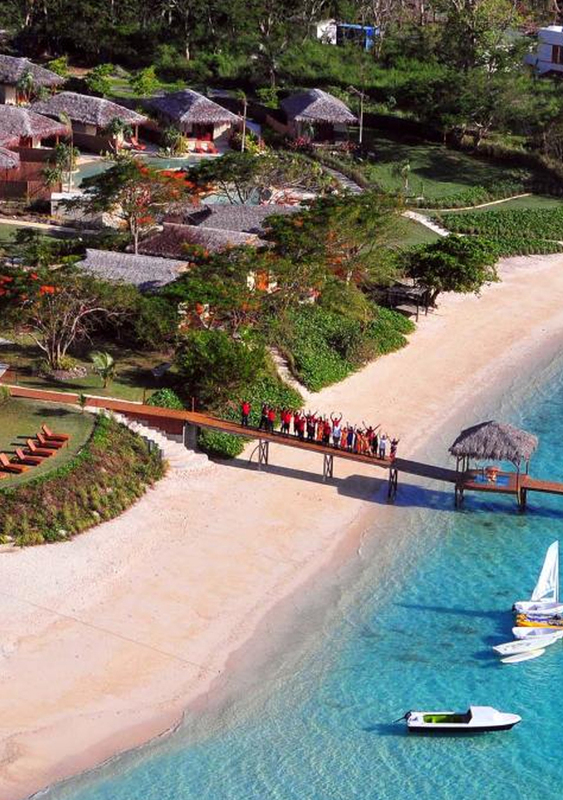 In September 2015, VRP-MENA was authorized by the Vanuatu Government and appointed as the sole exclusive coordinator of the Vanuatu Economic Rehabilitation Program - Honorary Citizenship program for the Greater Middle East and Africa. VRP-MENA could successfully process hundreds of Citizenship applications and secured over 18 Million USD to Vanuatu Government. 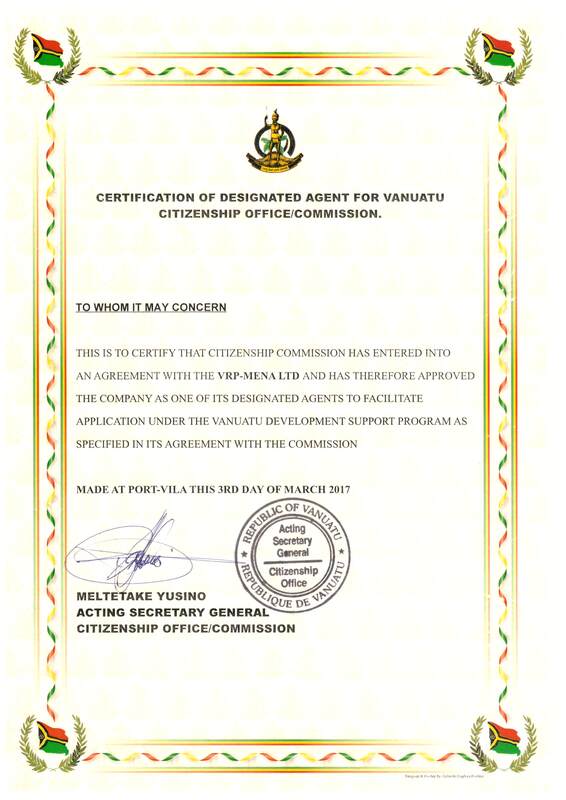 In March 2016 and after the termination of the Vanuatu Economic Rehabilitation Program by the Government of Vanuatu, VRP-MENA was appointed by the Citizenship Commission as worldwide designated agent for the Development Support Program and the Exclusive Agent of VGL in the Middle East and Africa for the "Contribution Program" established under section 13D of the Citizenship Act [Cap 112]. VRP-MENA is the only designated agent of the Vanuatu Citizenship Commission that operates from within the offices and under the supervision of a Consulate of the Republic of Vanuatu. On May 16, 2018, VRP-MENA became a worldwide Marketing Agent for Vanuatu Development Support Program. VRP-MENA is a synonym for Integrity, Credibility and Efficiency. VERP Immigration & Consultancy is our authorized partner in Latin American countries.